Legacy Design Build Remodeling is the Scottsdale, Arizona, area’s leading full-service residential remodeling company. We have over 40 years of experience serving local homeowners and providing customers with custom home additions, room remodels, and outdoor living space remodels. Our team is backed by DreamStyle, the 12th largest home remodeling company in the country so you can rest assured that your project is in the expert hands of highly experienced professionals. We will begin your project by scheduling an initial consultation where we will discuss all of the available options for your remodel. Once our team has an idea of what you’re looking for in your home remodeling project at your house in Scottsdale, AZ, or a surrounding area, we will create a fully visualized 3D rendering to show you what your final design will look like. We will then work closely with you to select all of the products, finishes, and colors that will be used in your new space. Once we have your approval on the final design, our team of technicians will get started on the construction of your brand-new room or outdoor space. 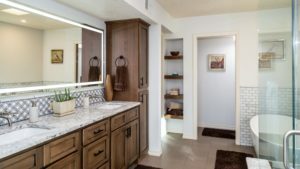 For more information about the numerous home remodeling options that we offer to homeowners in Scottsdale, AZ, and the surrounding areas, contact Legacy Design Build Remodeling today. Make sure to ask about the financing options available to all qualifying homeowners.